You can use this Bible as a tool for your prayer life. It includes more than 4,500 Scripture-specific prayers, a guide to praying the Scriptures, introductions for each book of the Bible, index of prayers that appear in Scripture, a topical prayer guide, and much more! God's Word to the Nations translation. Duravella (like bonded leather), available in teal color only, 1776 pages, 5.5" X 8.5"
You may request additional copies for a one-time gift of $25.00 per copy. 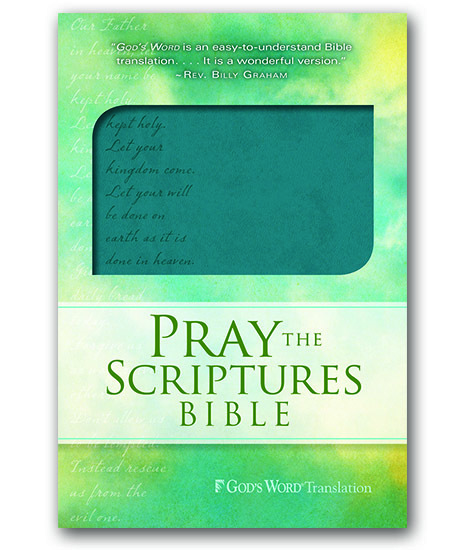 Successfully added Pray the Scriptures Bible to your cart.